At the CSA, what’s available is written on a dry erase board when we first arrive at the entrance. This tells us what’s available along with how much of a given thing we can take. Occasionally, as we pick produce, we will be offered items that weren’t on the board. This becomes slightly like receiving a gift, an extra delicious gift. Last Thursday, as I was picking lettuce, I was told that there were beets that needed to be thinned out and that we could take the largest ones in the cluster. I know this sounds silly but these beets made my Thursday. They were a surprise gift. Only this year have I really started to fall in love with beets. Sure I’d made beet chips and beet cake before but I’m learning to appreciate beets for their lovely, earthy flavor. The beets I received before the csa season officially started were more of a tease. I wanted more. Have I mentioned how much I love beets? 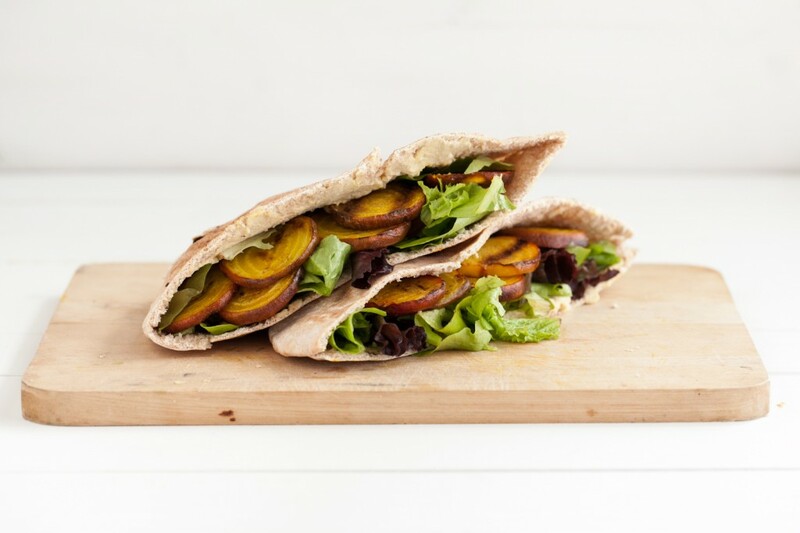 These pitas are really easy to throw together and you don’t have to turn your oven on. The hummus can really be any flavor you want but I prefer a roasted garlic. I also think these grilled beets would be lovely smushed in to my hummus and grilled cheese sandwich. 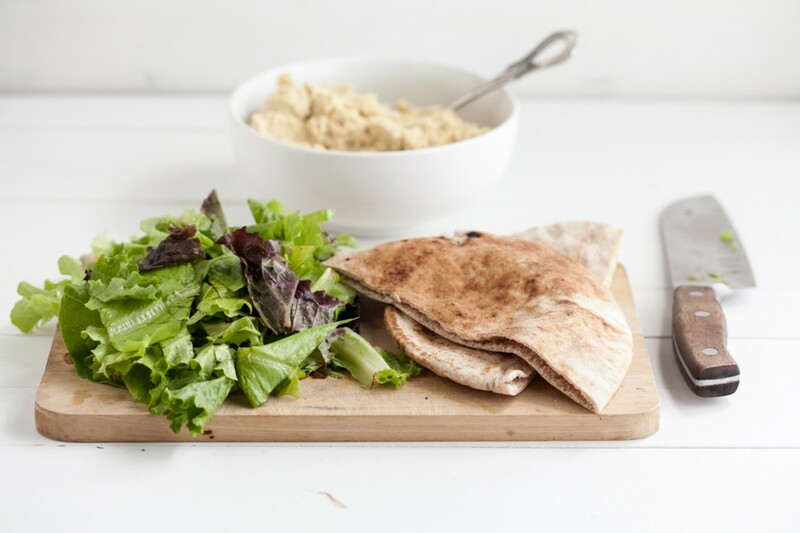 To assemble pita, slice in half and smear 1-2 tablespoons of hummus in each pita pocket. Layer lettuce and grilled beets inside. *if you don’t like the full on taste of beets, you can also toss the beets with a few herbs (thyme would be lovely). *This would also work well as an extra addition to my hummus grilled cheese sandwich! So tasty! This sounds delightful! I love the idea of grilling them in slices. I feel like this might upset you considering your love for beets 😉 but I actually passed them up yesterday in the store because I couldn’t think of anything interesting to do with them and was sick of the usual. Next time this is it though! Ooops! This reminded me that I have beets hiding on the bottom drawer of my refrigerator that needs some attention! 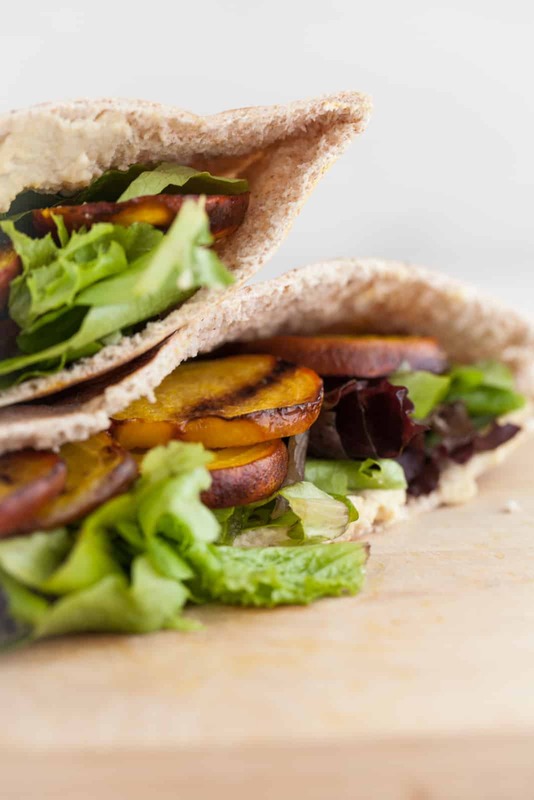 Love the idea of adding beets to grilled cheese sandwich, with hummus. I’m having a hard time to stop drooling over this dish! 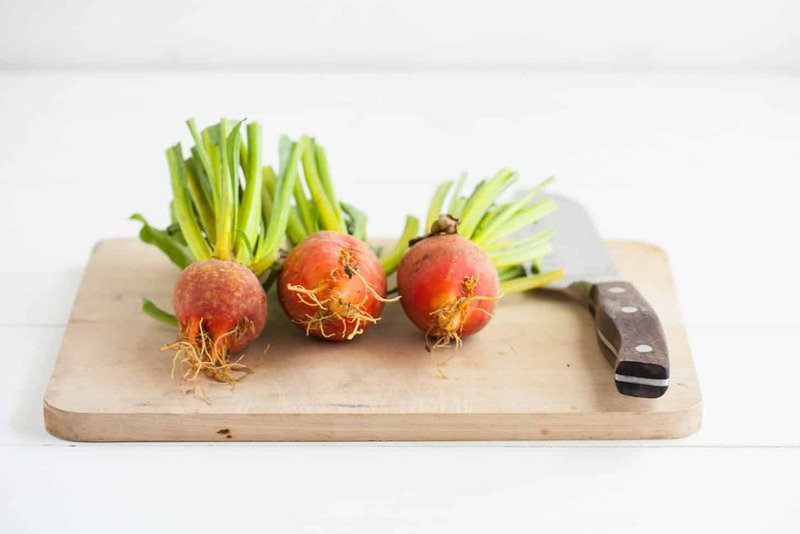 I’ve been a fan of beets ever since I was a child (I am NOT kidding) and I’m constantly looking for new ways to prepare them. This is certainly going on my “to-do” list although I’ll have to think some more about which beet I’ll be subbing those gorgeous golden ones with; I’ve never seen those here in Holland. But in the mean time I know I’ll be having a grilled cheese sandwich with hummer and roasted beets tomorrow for lunch! Oooh, I love beets! Although I’ve never tried golden ones, I don’t know how they differ in flavor. I love the idea of putting them with hummus(OK, I love hummus with just about everything, hehe). I just pinned this! YUM! Those golden beets are just incredible looking. I totally see how they could make your Thursday! I don’t normally grill beets but this post just gave me a wonderful idea. This sounds delicious and hearty. Thanks Erin! 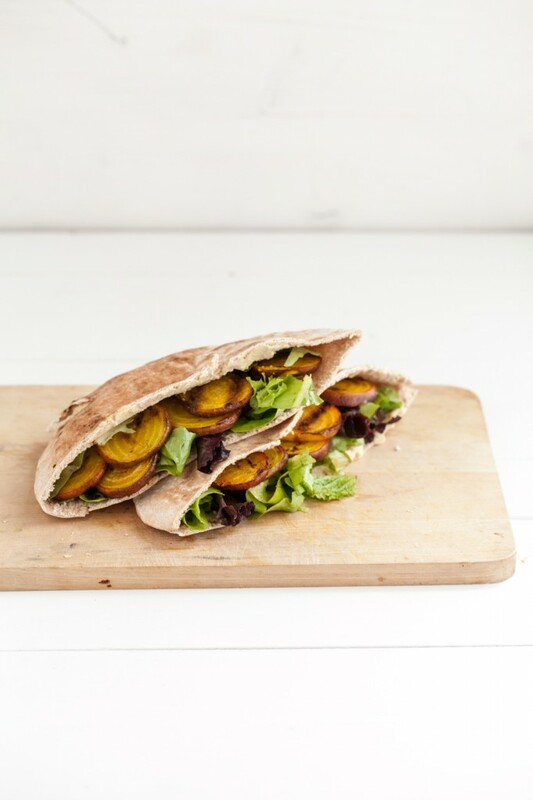 Waw, this pita looks amazing! I’ve never grilled beets before, but I eat them whenever possible. Do you have to peel the beets before you put the slices on the grill? I can’t wait to make this for lunch! I just found an amazing hummus at Central Market in Dallas. It’s Blue Moose Lemon Turmeric Hummus and it is delicious and golden yellow. That with the red beets will be beautiful and so good.